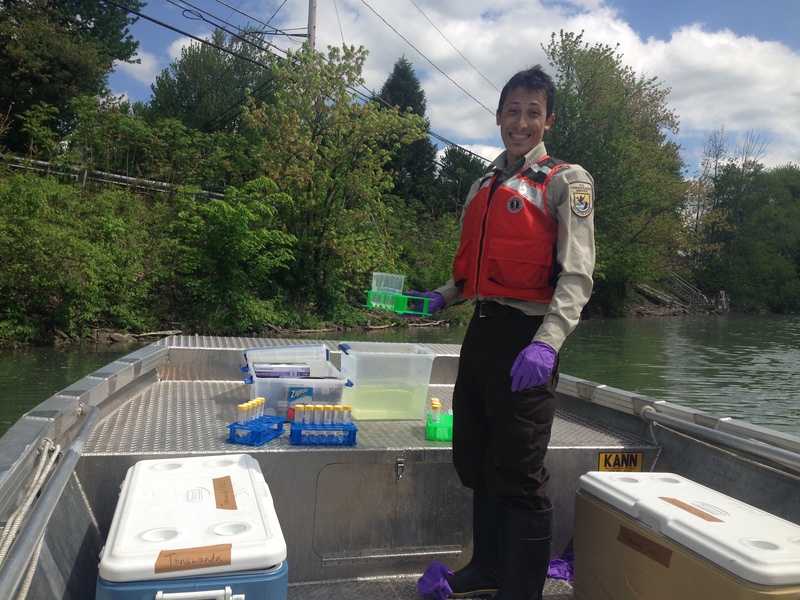 Today you’re hearing from branch chief of environmental quality Anne Secord and biologist Gian Dodici of our New York Field Office. The quantity and quality of wetlands have been in a long decline in the coastal areas of the Great Lakes due to a combination of factors, including water level regulation and development. Since 2010, our office and partners have been hard at work improving habitat at the Rochester Embayment Area of Concern, a specific section of the Lake Ontario shoreline around Rochester and about 6 miles of one of its tributaries, the Genesee River. Thanks to funding from Great Lakes Restoration Initiative, we’ve greatly improved the wetlands in one part of this area of concern, Braddock Bay in Greece, New York. Our work started with wetland habitat assessments in streams, ponds, rivers, and bays on the south shore of Lake Ontario near Rochester. We found degraded wetlands with few species and limited diversity of physical habitat. Cattails and a select few other plant species ran rampant, crowding out other plants, invading open areas, and nearly covering the entire wetland. By contrast, a complex, healthy wetland would generally have a mix of open water and vegetation with a variety of different plant types and heights. Our office prioritized several areas within the New York State Department of Environmental Conservation’s Braddock Bay Wildlife Management Area (which is in the Rochester Embayment Area of Concern) for our focus and developed plans to restore some of the most degraded areas to healthy, diverse wetlands. We recreated a mosaic of edge habitat by excavating over 22 acres of potholes and open water channels in the solid cattail stands at three sites within the Wildlife Management Area; Long Pond, Buck Pond and the Salmon Creek Preserve. Edge habitats are transitions between one habitat and another. These areas will now be better habitat for amphibians, fish and migratory birds. We also constructed 16 acres of interspersed habitat mounds, as well as islands that are isolated from the tenacious roots of the adjacent cattails. These mounds and islands have been treated to remove cattails, then seeded with herbaceous natives and planted with native woody species such as dogwood, buttonbush and maple. The wetland potholes and habitat mounds are specifically designed to be of varying size and depth/height so as to improve habitat diversity. The birds and bees will love it! The channels allow fish, such as northern pike, the access to spawn in newly created wetland habitat and will improve nesting and foraging habitat for ducks, wading birds, and, hopefully, the New York State-endangered black tern. The black tern nests in expansive marshes with mixtures of emergent wetlands and open water. We also constructed vernal pools, which are temporary pools of water, within the upland area of the Salmon Creek Preserve to create breeding habitat for amphibians like the leopard frog. Take a look at the aerial video of the Salmon Creek Preserve this past winter after potholes, channels and islands had been constructed. This entry was posted in Blog entries, Habitat restoration, Invasive species, Migratory birds, Wetlands and tagged great lakes restoration initiative, Lake Ontario, leopard frog, New York, new york field office, wetland restoration, wetlands, wetlands wildlife, wildlife on August 10, 2016 by usfwsnortheastblog. Invasive species awareness and education is a critical part of fighting these foreign invaders. This week we are highlighting the intense work our biologists take on each day in their efforts to control the deadly spread of invasive species. 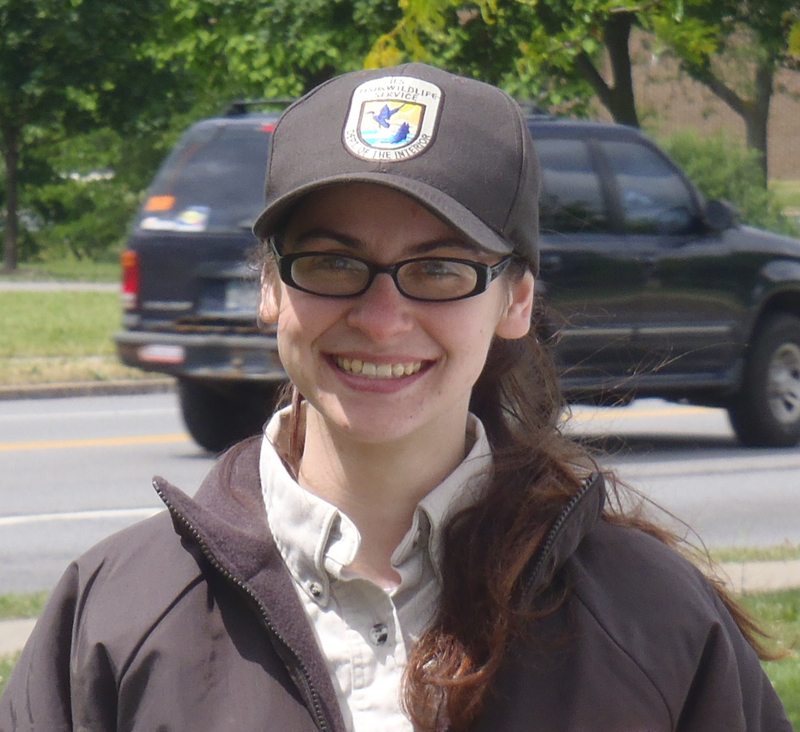 Today we hear from Kelly McDonald, a biological technician with the aquatic invasive species team at the Lower Great Lakes Fish and Wildlife Conservation Office in New York. In the quest to fight invasive species, timing can make all the difference in the world. If discovered too late, as many invasive species have already proven, their impact on ecological balance is devastating. 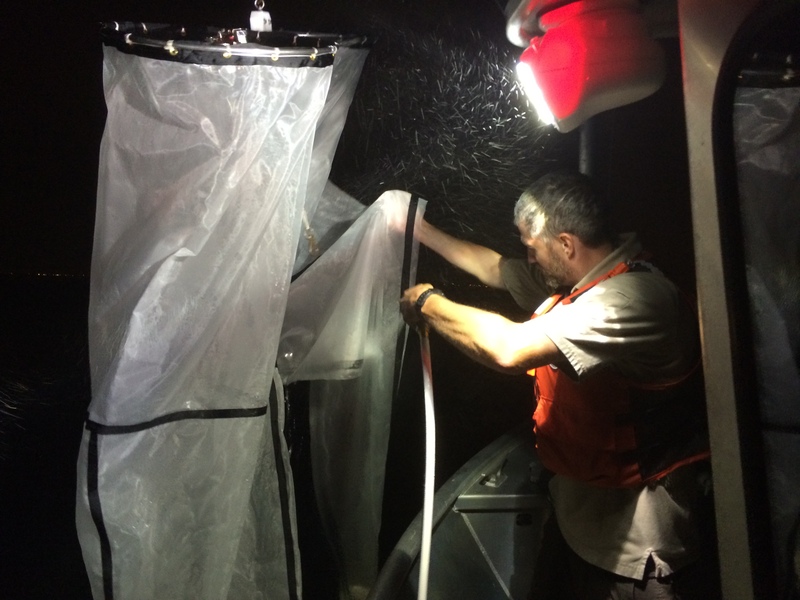 But aquatic invasive species (AIS) crews at the Lower Great Lakes Fish and Wildlife Conservation Office are on the front lines to battle new invaders, executing a plan that would stop this trend before they have the chance get out of control. In partnership with other federal, state and non-government agencies, Service biologists have developed a system called Early Detection and Monitoring, or EDM, in an effort to prevent the ecological suffering that invasive species often cause when they spread unchecked. 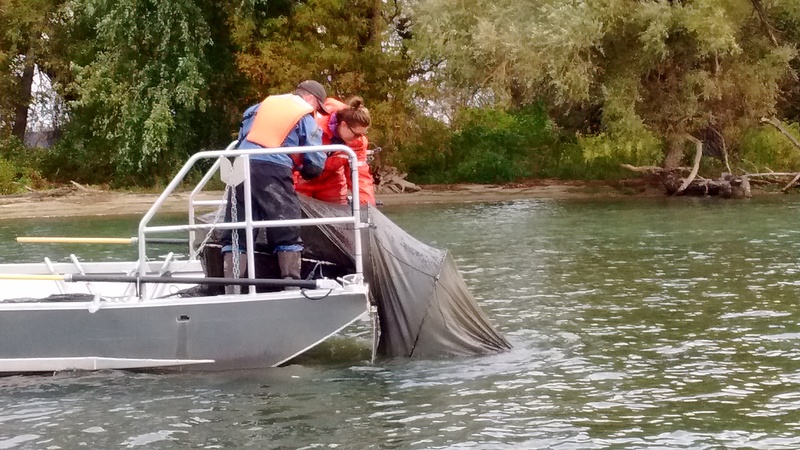 We are now using the EDM program as part of the Great Lakes Restoration Initiative to keep invasive species from taking over the Great Lakes. Previously introduced invasive species such as zebra mussel and round goby have plagued the Great Lakes, causing negative biological impacts and hurting local economies. So what is so special about this EDM program? While most invasive species control programs have focused on reacting to already established species, the EDM program takes a pro-active approach in its mission to seek out and detect new invaders before they take over. The earlier an infestation is discovered, the more feasible it is to eradicate and manage the species, preventing catastrophic damage. The program, while still relatively young, is evolving and growing to best detect several different types of aquatic invasive species. 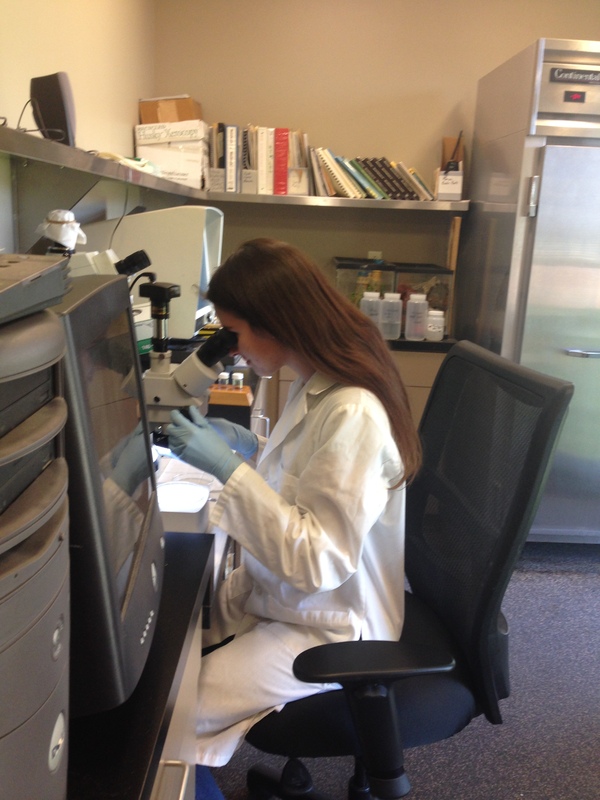 The techniques we use in the program include a variety of field methods and cutting edge technology in order to cover as much biological ground as possible. We use sampling methods for invertebrates and fish, while also applying innovative genetics and GIS technology to search for invasive species. While practicing the best sound-science possible, the team uses an ecosystem-based approach to determine where to collect samples. 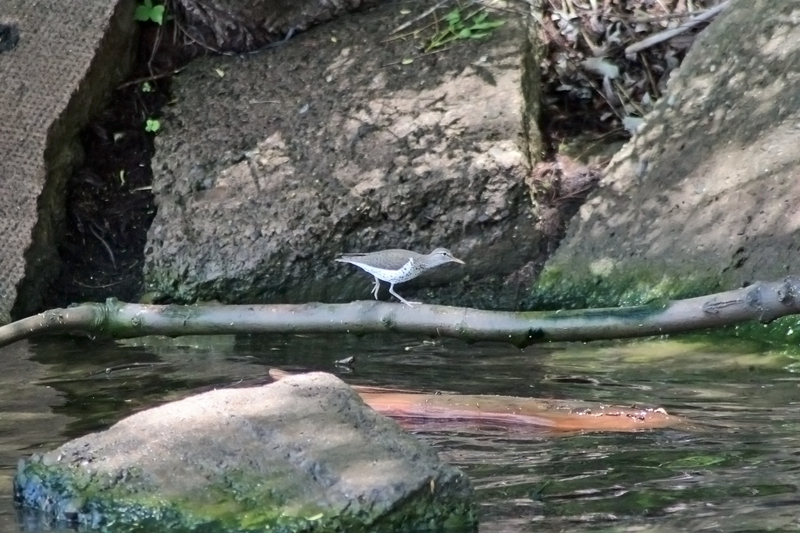 We take into consideration the populations of native species in the area, the proximity of human populations, types of aquatic habitats, and possible means of invasive species introduction. But all this data is not limited to just finding invasive species. The information we gather also provides needed baseline data for more in-depth projects down the road. For example, one aspect of the EDM program is mapping habitat using side-scan sonar to image the bottom of potential sample areas. Once complete, we then “ground truth” that data by bringing an underwater camera and a bottom sampler, called a Ponar, to confirm that the bottom habitat is mapped correctly. This information can be invaluable for native species spawning studies or potential restoration projects. So far, we have not discovered any new invaders using the EDM program. But if we do, a rapid response could make all the difference between eradication and control, or trying to fight a losing battle. Typically these quick actions include a large coordinated effort between many partners to thoroughly sample the areas to determine the extent of the infestation, and plan an adaptive management strategy to best attack the species before it becomes a serious and harmful issue. This entry was posted in Blog entries, Endangered Species, Fisheries, Invasive species, Partnerships, Science and research and tagged Early Detection Monitoring program, great lakes, great lakes restoration initiative, innovative science, Invasive species, Kelly McDonald, Lower Great Lakes Fish and Wildlife Resource office on February 26, 2016 by U.S. Fish and Wildlife Service. 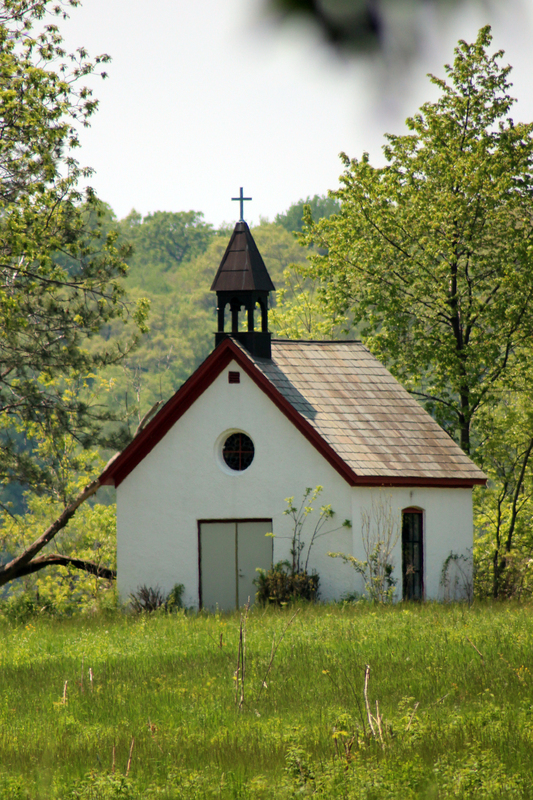 Today we hear from Jajean Rose-Burney, Development Director at the Western New York Land Conservancy, about a unique partnership among a religious order of nuns, a non-profit land protection agency, and a federal grant program that all share a common interest in natural resource conservation. Imagine a place with inspiring views, a shoreline along a majestic river, rich with history of Native American cultures and historic battles, and acres of vulnerable wildlife habitat. That place is Stella Niagara. 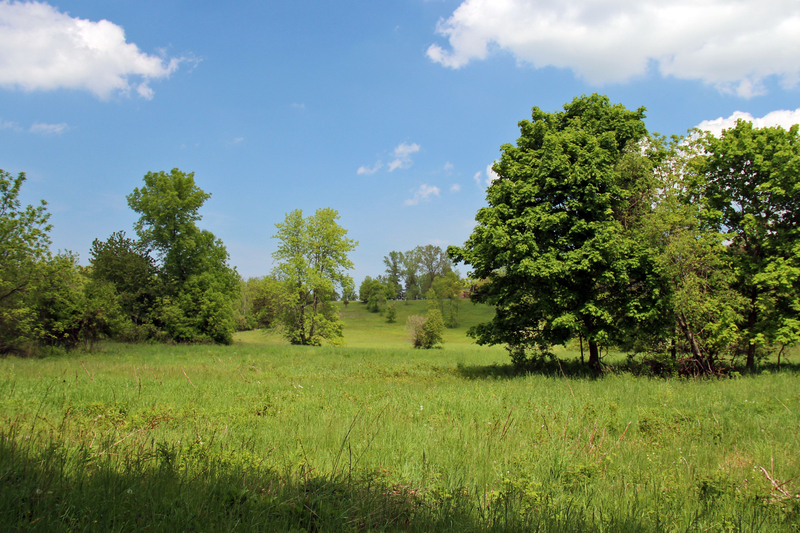 All of us at the Western New York Land Conservancy, a regional not-for-profit land trust, are working to protect Stella Niagara in perpetuity, and the U.S. 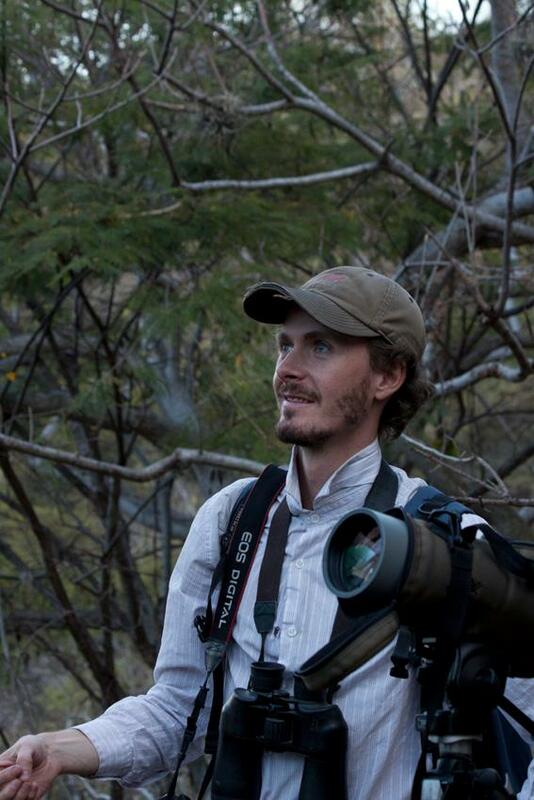 Fish and Wildlife Service is helping fund our effort. The story of this special place began many millennia ago. As glaciers retreated at the end of the last ice age, they left behind enormous basins of freshwater, what we know as the Great Lakes. A river, the Niagara, formed between two of those lakes, carving its way through a steep escarpment, forming a deep gorge and a rushing cataract, Niagara Falls. A few miles downriver, past the raging rapids and roaring falls, and beyond the impenetrable gorge, you’ll find a gently sloping emerald plain along the tranquil turquoise waters of the lower Niagara River. This beautiful shoreline is the Stella Niagara. 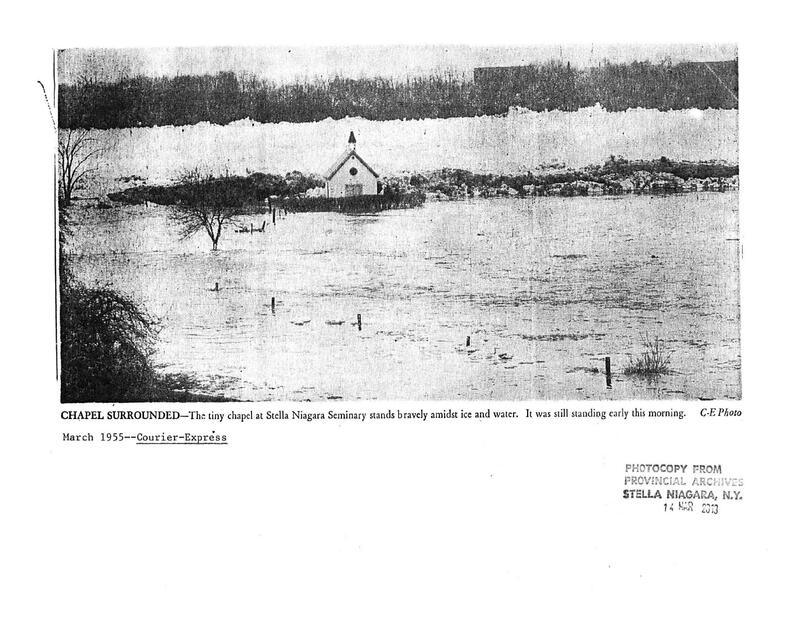 Stella Niagara is one of a handful of natural landing sites along the Niagara River, a place that allows for easy access to and from the river. For centuries, many Native American groups launched canoes from this spot as they hunted, fished, and traded on the Niagara. It was the very spot where the British landed during the War of 1812 on their way to burn the Village of Lewiston and capture Fort Niagara. It was also the very spot that the Sisters of St. Francis, an order of Franciscan nuns, chose to call home in 1907. They have been the owners and stewards of this property ever since. 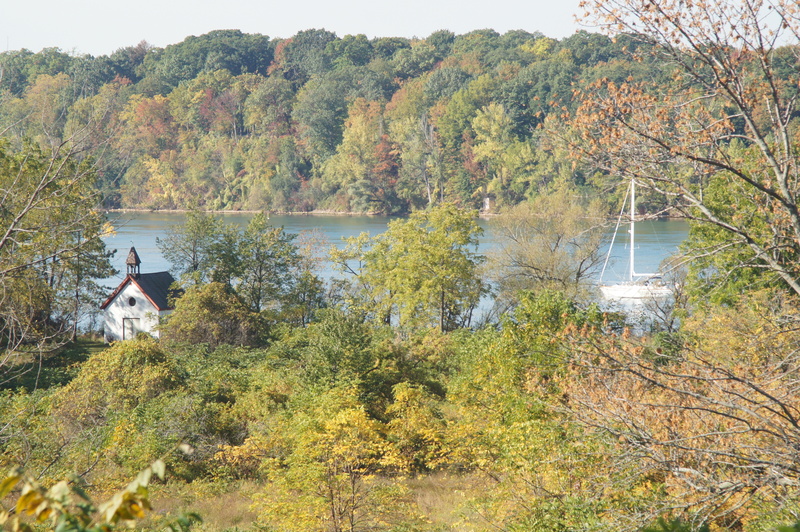 Recently, the Sisters began evaluating economic realities as part of a long range planning process and decided to sell their 29 acres along the Niagara River at Stella Niagara. As the largest privately-owned, undeveloped frontage along the entire Niagara River, this parcel is heavily eyed for development. In keeping with the tradition of St. Francis of Assisi and the Sisters’ deeply held concern for the natural environment, they asked the Land Conservancy to purchase, and protect, this spectacular property. Protecting the Stella Niagara property is part of a broader strategy to protect wildlife habitat along the Niagara River. The river is internationally designated as a globally significant Important Bird Area, on par with places like the Everglades and Yellowstone. The river supports threatened species of plants and animals, like the bald eagle and lake sturgeon, and is home to hundreds of thousands of migratory waterfowl and gulls during the winter. Black-crowned night herons, endangered in many Great Lakes states, are common on the Stella Niagara property. Because of its unique currents, the shallow water off-shore from Stella Niagara is an important hatchery for numerous species of freshwater fish. 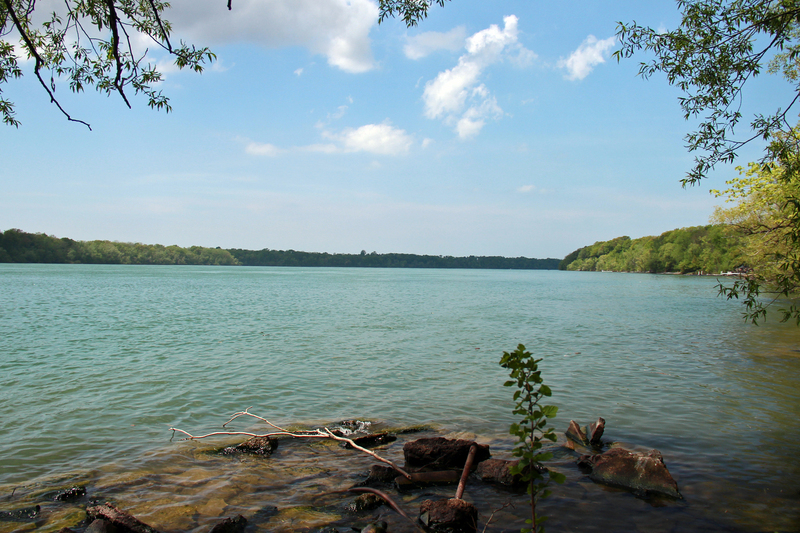 Once acquired, we will open the property as a publicly accessible nature preserve, called the Stella Niagara Preserve, the first nature preserve to be owned and operated by a not-for-profit along the Niagara River. The preserve will have walking trails and allow for fishing and kayak access on the river. 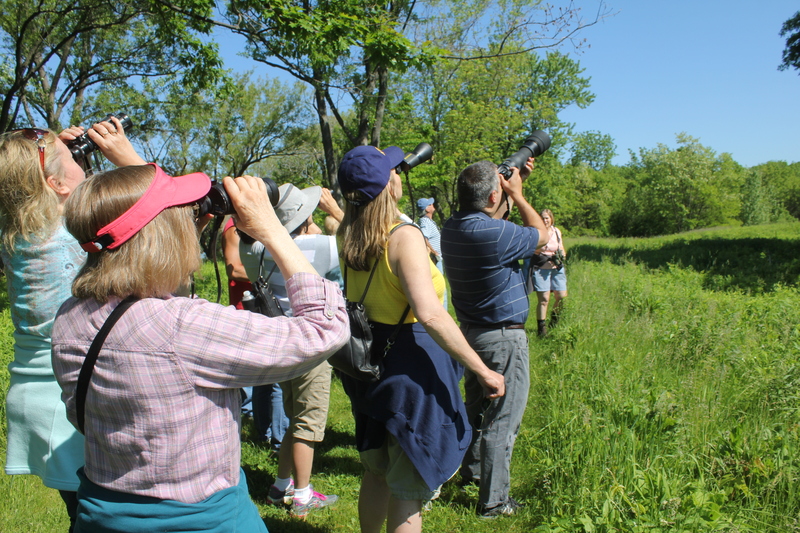 This entry was posted in Blog entries, Habitat restoration, Migratory birds, Outdoor recreation, Partnerships and tagged great lakes restoration initiative, Habitat protection, Joint Venture Habitat Protection, Sisters of St. Francis, Stella Niagara, Western New York Land Conservancy on August 29, 2014 by USFWSNORTHEASTBLOG.